In yet another major move from the great folks over at the Lawyers’ Committee for 9/11 Inquiry, Architects & Engineers for 9/11 Truth, and 9/11 victim family members Robert McIlvaine and Barbara Krukowski-Rastelli, a joint federal lawsuit has been filed to assess any evidence the FBI may have known about that contributed to the destruction of the towers on 9/11 which they may have kept from Congress. According to the press release on Architects & Engineers for 9/11 Truth, this is evidence relevant to the 9/11 Review Commission’s and the FBI’s compliance with the mandate from Congress, which should have been assessed by the FBI and the 9/11 Review Commission and reported to Congress. The complaint also cites the destruction by the FBI of evidence related to the “High Fivers.” Architects & Engineers for 9/11 Truth has joined in bringing the counts that involve the evidence of the World Trade Center’s explosive demolition and evidence related to the “High Fivers,” while the other plaintiffs are party to all counts. 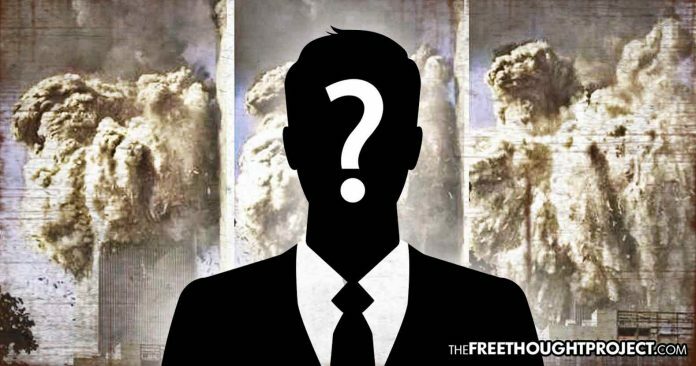 A bombshell grand jury filing was announced this week naming those who had access to WTCs before 9/11 and those who benefited from their destruction. As TFTP reported, a monumental step forward in the relentless pursuit of 9/11 truth took place in December when a United States Attorney agreed to comply with federal law requiring submission to a Special Grand Jury of evidence that explosives were used to bring down the World Trade Centers. Now, the group behind the submission, the Lawyers’ Committee for 9/11 Inquiry, announced the filing of a “petition supplement” naming persons who may have information related to the use of said explosives. According to Architects and Engineers for 9/11 Truth, the 33-page document contains 15 different categories of persons who may have information material to the investigation, including contractors and security companies that had access to the WTC Towers before 9/11, persons and entities who benefited financially from the WTC demolitions, and persons arrested after being observed celebrating the WTC attacks. A names-redacted version of the petition supplement, which was filed with the U.S. Attorney for the Southern District of New York on February 14, 2019, has been made available to the public. The un-redacted version filed with the U.S. Attorney today will remain undisclosed in the interest of maintaining the secrecy, security, and integrity of the grand jury proceeding. Maybe like some of you, I have gotten to know myself better over the past several months. I have always considered myself anything but conservative. “Beyond liberal,” I have said when describing my basic orientation: meaning liberal, only more so compared to the range of holes provided on a standard belt. Sort of a lone sentinel, out there when it came to equality, fairness, generosity, universal enablement, foolhardiness or moxie. WTC Building exploding into fine dust (it is not burning down) by pre-planted explosives in an obvious controlled demolition. The arrow points to a “squib” of exploding gas which is commonly seen with controlled demolitions. 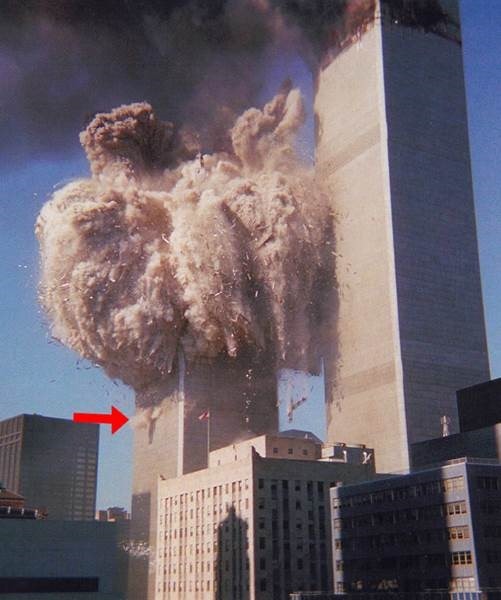 Some of the “splinters” seen (the only solid objects that did not pulverize into dust) are actually chunks of steel beams that were being exploded upward and laterally. The nicely-sectioned steel beams and girders were soon ordered by New York Mayor Rudy Giuliani to be trucked away and shipped to China – an order that constitutes disturbing a crime scene – which is a federal crime. I just received the latest PBS (Public Broadcasting System) monthly schedule for September and discovered that PBS’s newest documentary, entitled “9/11: Inside the Pentagon” will be broad-casting and the re-broadcasting the program a total of 8 times over the week surrounding 9/11/16! I tried but was unable to view the documentary in its entirety online, but in the trailer there was breathless, tear-jerking testimony from several of the Pentagon employees that survived the professed crash of Flight 77. 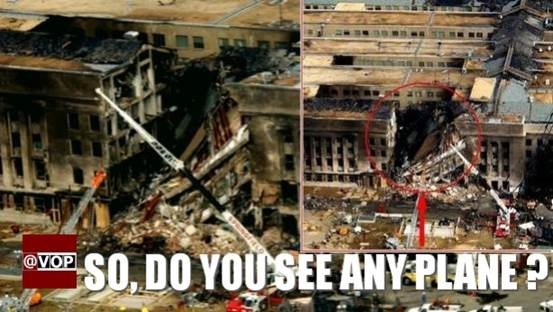 However, researchers and true investigative reporters have long known that it wasn’t flight 77 that hit the Pentagon that day, since the damage to the various walls of the Pentagon could only have been done by a much smaller aircraft, such as a missile (or perhaps a $222, 000,000 USAF Global Hawk surveillance drone). Also there was no evidence of debris from the aluminum body, wings and tail section of a 100 ton Boeing 757. The only so-called evidence for Flight 77 hitting the Pentagon that the DOD eventually produced were five ridiculously unconvincing and obviously photo-shopped images that supposedly showed a plane in one frame and fiery explosions in three of the frames. (For information on the crime and cover-up at the Pentagon and a detailed expose of the infamous, obviously doctored still pictures that, interestingly, were dated 9/12/01, 17:37 (5:37 pm) rather than 9/11/01, 9:37 (9:37 am) the actual time of the hit), go to: http://911research.wtc7.net/mirrors/guardian2/pentagon/what-hit-it.htm. And of course there was no plane debris from a 100 ton plane lying around outside of the re-enforced concrete walls at the Pentagon. There are no indestructible titanium jet engines, no luggage, no passenger seats, no indestructible black boxes and no passenger body parts that always litter the scene of passenger plane crashes. If you aren’t smelling a rat by now, you’re not paying attention. Don’t expect PBS to raise any uncomfortable questions about 9/11 in their documentary. Sadly, NPR, MPR and WPR – my usually respected regional public radio stations (that regularly ask me for money) – have resolutely refused to interview any of the multitude of scientists, researchers, scholars and authors who have amassed mountains of court-of-law-ready evidence that 9/11 was a criminal false flag operation. 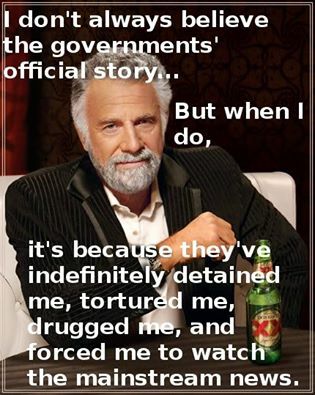 All the evidence points to it being an inside job. 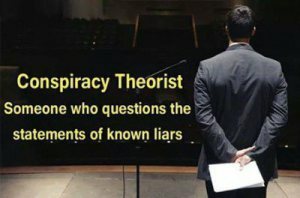 The unwelcome, provable facts documenting the conspiracies and the subsequent cover-ups (that are conspiracy theories no longer) that really happened on 9/11/01 is obviously a taboo subject that the mainstream media is terrified of, even among the many supposedly trustworthy investigative journalists that are on the staffs of those stations. They apparently have received orders from above to censor the truth, are afraid of losing their jobs or for some other reason can’t handle the truth. Similarly, the usually-honorable PBS seems to keep subtly misinforming its viewers with various slanted Frontline documentaries that, for just one example, has promoted the alleged safety and efficacy of Big Pharma’s toxic drugs and Big Vaccine’s neurotoxic and autoimmunity-inducing infant vaccines. It also has continued accepting the sponsorship of NOVA from David Koch and then squashed an expose of the nefarious agendas of the Koch Brothers. PBS has never screened any of the multitudes of powerful and irrefutable 9/11 Truth documentaries that are already out there (see a list of my personal best ones further below). And now, with the Pentagon on 9/11, PBS has produced what looks like another human interest pablum puff piece that will certainly get most undiscerning PBS viewers to look the other way. And they are showing it EIGHT TIMES IN ONE WEEK! Outrageous! But readers should be reminded about the fact that those who willingly and knowingly cover-up crimes are themselves guilty of criminal conduct, and they can be prosecuted. Most people regard the horrendous events of 9/11/01 as the Crime of the Century; so those who knowingly cover up those crimes are technically guilty of crimes themselves. Should that standard apply to editors and publishers (and their reporters) of the TV, radio and print media outlets that inform us (or misinform or dis-inform us)? I think so.